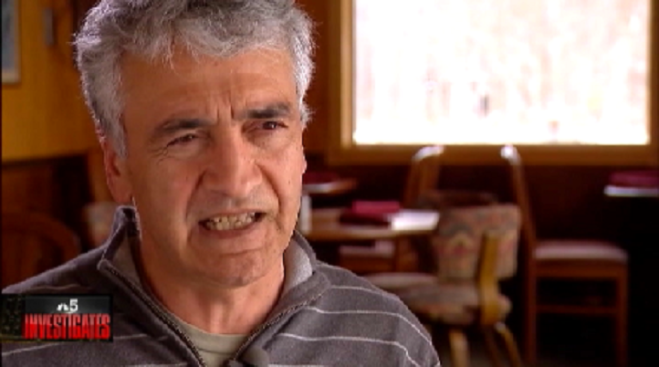 Ibrahim Parlak, the southwest Michigan restauranteur who was branded as a possible terrorist by the Department of Homeland Security, has received another reprieve from deportation. Parlak, a beloved member of the Harbor Country community who has legions of supporters from both sides of the political aisle, was accused of lying on his Green Card application more than a decade ago, about incidents involving a Kurdish separatist group in his native turkey in the eighties. He has been fighting those deportation efforts ever since. Today, in a brief letter to Parlak’s attorney, Immigration and Customs Enforcement abruptly shifted gears, informing Parlak that his moment-to-moment status had been lifted. The Turkish consulate in Chicago has called Parlak a murderer, suggesting he played an active role in an incident where two soldiers died. Parlak has insisted he had nothing to do with the soldiers’ deaths. But consular officials have called for his extradition back to Turkey. In a brief interview with NBC5 Friday, Parlak said there was some indication that Turkey was reversing its position on the desire to have him returned, apparently prompting the decision of Homeland Security to grant him a one year deferral. Republican Congressman Fred Upton hailed the DHS decision. Democratic Congresswoman Jan Schakowsky echoed those sentiments. “Ibrahim Parlak has been a contributing and beloved member of this community for over two decades,” she said. “I am pleased the immediate threat of his deportation has been removed."